It’s taking me a while to get used to Vietnam. Solo travel always takes a little adjusting to, any travel does I’m sure, but I’ve only ever experienced it solo. It’s getting used to sharing a bedroom again, to having to lock your possessions away every time you leave the room, to making conversation with strangers and to, in my case, being alone. Suddenly every decision you make, from what you’ll have for dinner to where you’ll spend the night is completely down to you. And it’s easy to let that swallow you up for a moment. Until you realise you really do need to make a decision or you’ll be sitting on the kerb hungry all night. Adjusting to solo travel is one thing and I’m doing alright. It’s the place that’s making it difficult right now. So far, Vietnam feels like such a tourist trap. So much so that I feel like it lacks authenticity. This is unfair. It’s very authentic, but as a tourist and a white face I’m somehow on the peripheral of that authenticity. Always destined to pay ten times the price for anything and simply a $ sign to the people here. Nothing more or less. I’ve been in countries who depend on tourism in the same way before, like Nepal for example. Yet the people there saw you and asked questions; where are you from? What brings you here? How is it different from your country? Do you like it? I lost count of the number of times I was invited into shops and homes for a free cup of tea and wasn’t pressured to buy a thing. They just wanted a chat. If I did buy something, bonus! This feeling really came to a head after a day trip to Tam Coc, Vietnam’s ancient capital a couple of hours south of Hanoi. 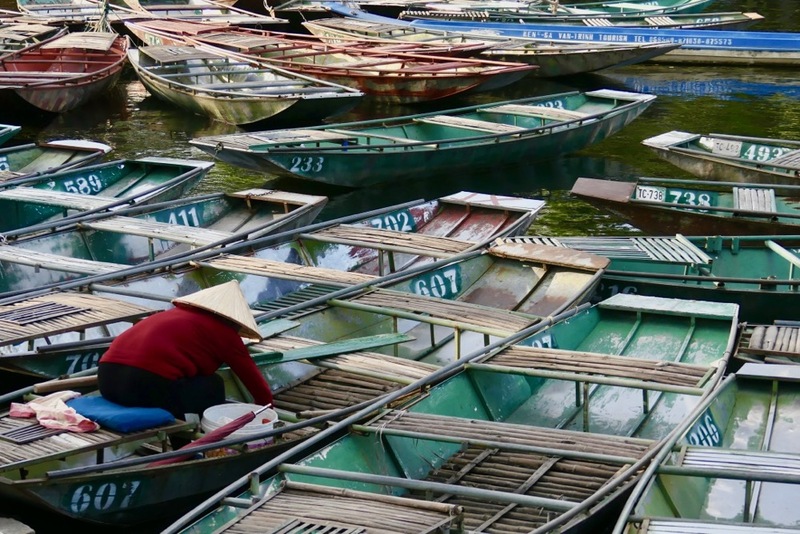 We hopped on the minibus and weaved out of Hanoi’s traffic ridden streets. Our first stop was the ancient temples of the Le and Dinh Dynasties. As soon as we stepped from the safety of the minivan a crowd of women ambushed us selling traditional Vietnamese hats. ‘One dollar one dollar one dollar miss’. A straight forward ‘no’ comes nowhere near as they jam the hats onto your head hoping to make a sale. Once you’ve battled through them there’s the men and women with cameras taking your photograph, in the hope they can sell the printed and laminated picture to you when you leave. Also for a dollar. I fix a grim expression on my face so that any photograph taken of me will be horrific and they won’t bother trying to sell it back to me. Our next stop promises some peace at last. An hour and a half being rowed down the Tam Coc River. Picture this. 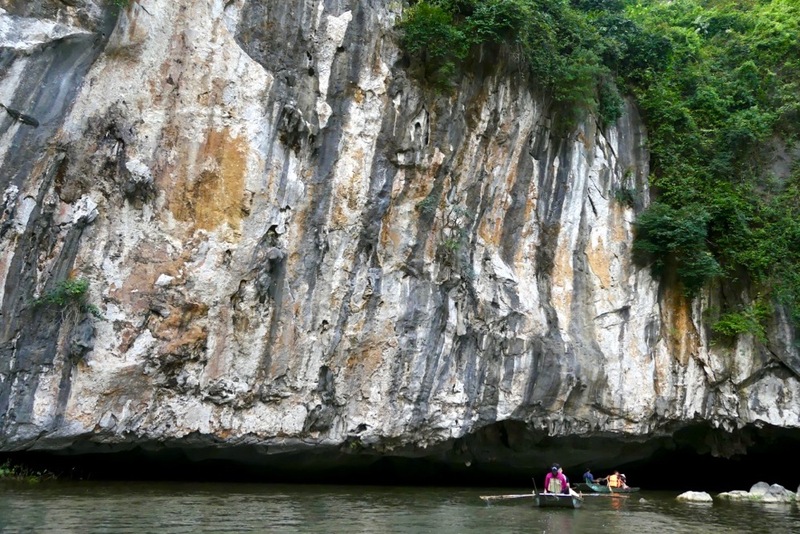 You’re rowing through an albahaca green river with karst rocks towering above you and limestone carved caves ahead. 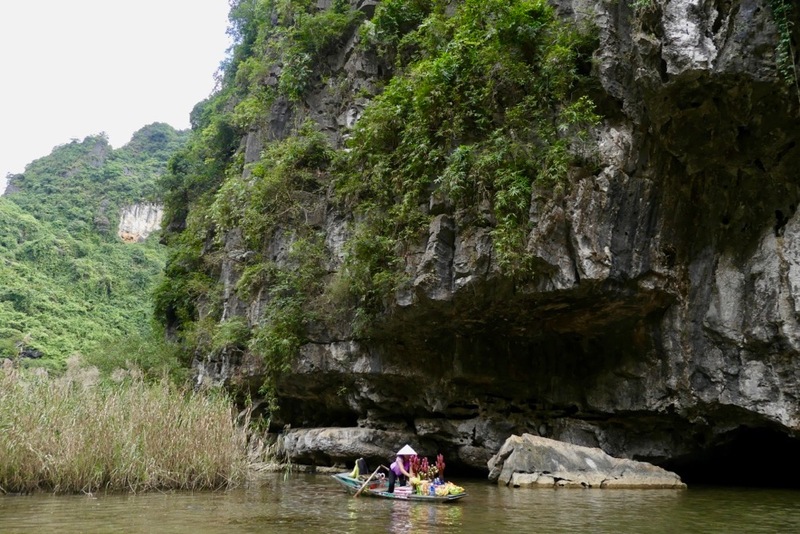 The craggy faces of the rock are steeped with lush vegetation and the sun is beaming down as you duck to paddle through a natural arch. A few pelican like birds circle above and no one is trying to put a hat on your head. Sure, there’s like a hundred boats ahead, but you begin to relax into the splendour of the landscape you’re gliding through. Suddenly you emerge from the darkness of Hang Chateau cave to be greeted by a barricade of women selling beer, snacks and hats from their own boats. They purposefully crash into your boat to get alongside. Once there, they grab on with a vengeful grasp and begin trying to put beers and bags of crisps into you hand. No. No thanks. Not now. I’m good. Not for me. No! How many other ways can I say it?! Which one works!? I’m thankful to get back into the safe haven of the minivan and away from the incessant selling. So what’s next on the agenda? Halong Bay. Sold as THE best place in the whole of Vietnam. THE must see location. THE place not to miss. The place where the tours seem to be triple the price as to anywhere else, the place where you’re forewarned travelling to independently will mean getting hoodwinked by local buses leaving after the tourist boat arrives, the place where bargaining for everything is vital so as not to leave bankrupt. Every other traveller I spoke to in Vietnam told me that they too were considering skipping Halong Bay so as to avoid the ultra touristic experience. 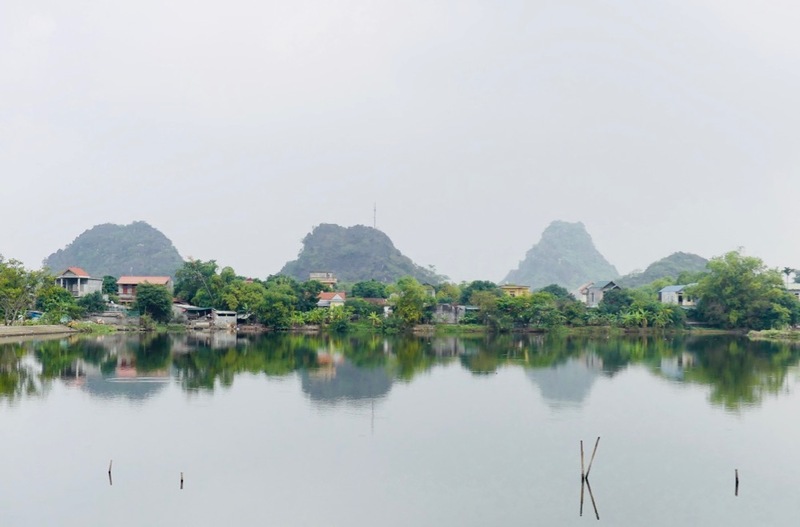 After a day in Tam Coc the very thought of spending two whole days in the same environment made me want to retreat to the sanctuary of my bunk bed and stay there indefinitely. So, after little debate I decided that I was prepared to forgo a trip to Halong Bay in order to avoid the feeling of being a pawn in a game of Vietnamese monopoly. 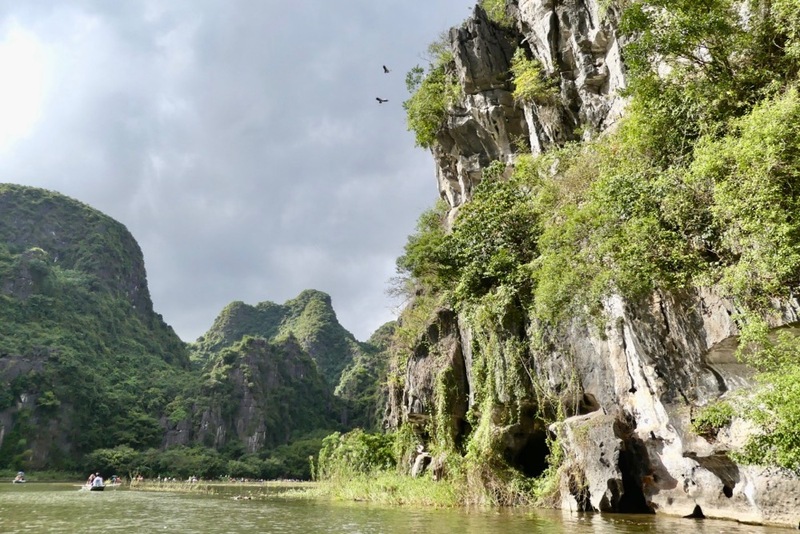 Instead I would make the six hour bus journey south to Phong Nha, the setting for the World’s largest cave system in the hope of finding some Vietnamese authenticity I can feel part of. Only time will tell!